In the past, there was very less innovation and development made in the field of education as compared to the other fields. The reason behind it is that educationists usually go for the traditional, tried and tested methods. However, in the last few years, there has been an epic boom seen in this industry as well. One of the great innovations made in this field is Google Glass. It has completely changed the perspective of education and learning, and it has helped out both the teachers and students to make education more fun and engaging. Given are some of the best ways to use Google Glass in education. 1. Connecting To An Interactive Environment. 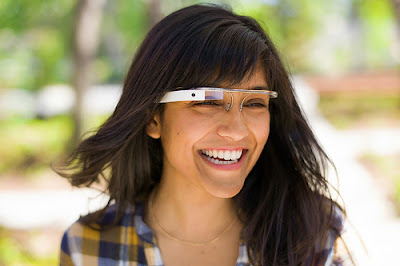 Google Glass is helping teachers and students to get connected to an interactive environment using its online tools. Teachers and students, both, can refer the subjects related to their studies in real-time. All you need to do is to speak to your Glass and you get what you seek. 2. Get Real-Time Instructions. Students can easily wear it while playing basketball, football, baseball, etc and get real-time instructions from their coach. Also, students can watch the recordings to know the movements of their body and head during the play. However – a word of advice – wearing Google Glass while playing sport might either hurt your eye or the wearable. Therefore, it is important that the Glass must be used with extreme caution under these circumstances. 3. Keep Record Of Documents. Google Glass allows you to keep record of your sharable documents that sometimes might need presentation on the go. 4. Make Your Class Trips Better. The augmented reality feature is helping students in making their class trips and historic tours better by letting them know the information they want to know about particular landmarks, ancient buildings, antiques, etc. 5. Interpretation Of QR Codes. Students should experiment different QR codes to know the information about specific on-campus locations. For example, they can easily get to know what classes are taught in which classrooms. 6. Create Visually Rich Presentations. Making visually rich projects and presentations are always a headache for students. However, with Google Glass, you can take relevant snaps and film videos with a wink which can be integrated to their projects and presentations using Google Drive. 7. Learn New Languages. Many students are fond of learning new languages but unable to do so due to their busy schedule. However, they can now learn as many languages as they want to learn using real-time language translation feature of Google Glass. 8. Generate Student Information System. With the facial recognition system what a teacher needs to do is to simply look at the student and can easily get access to all the information including academic details, attendance, non-academic performance. Therefore, teachers can now easily create class timings, students' reports and schedules on the go. 9. Record Lectures In Real-Time. Making important notes of lectures is always a time and energy consuming task and there are chances of missing important notes of lecture. However, with Google Glass, students can easily record lectures in real-time which can be saved on scribbling notes for future references. 10. Get Help From Teachers. Google Glass gives you an option to take group tutorial sessions with your teachers to get answers of the questions that have been missed. Also, you can get assistance from them on your homework, assignments and projects. 11. Invite Prospective Students For Campus Tour. Traditionally, prospective students have to physically appear at campus to have a tour of the building where they would be studying for certain years. However, they are now can be invited to have a campus tour via live Hangout using wearing guide of Google Glass. (*) William Ford has an exceptional passion for learning and teaching alike. He takes it as his pride to be a part of Researchpapertown.com - a portal that assists students with their academic endeavors. 10 fascinating facts about the Internet of things. They were compiled from a variety of online research and infographics, including reports from Cisco, Gartner and the Pew Research Internet Project study.